Welcome to our "Wilderness Survival" Tips and Hints. 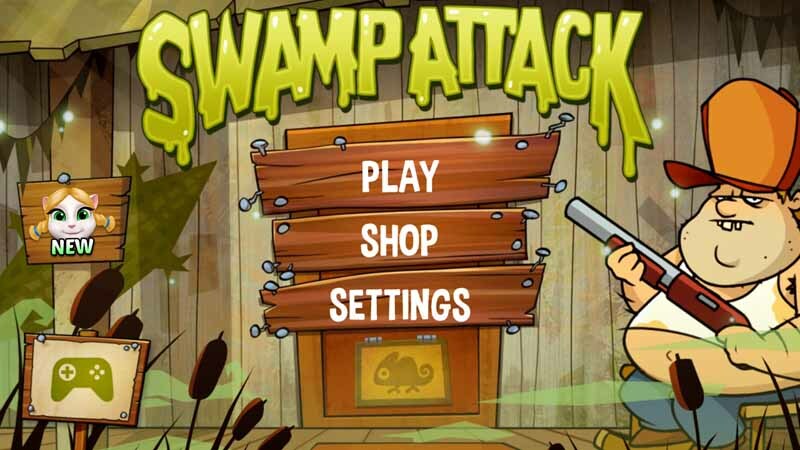 In Swamp Attack, you pick the life of a swamp-residing Hill Billy. While lounging on your rocking chair and armed with a shotgun, you will try to outwit and exterminate waves of incoming wild life trying to take claim of your territory. The game which revolves in a rather pun of a theme, extends its silly take on defense upgrades with automatics, a flame thrower, an electric gun, and different sorts of fire power. Check out our Tips and Hints for this game in the Guide Contents.